TT sailor Andrew Lewis, left, helping people affected by floods, on Saturday. 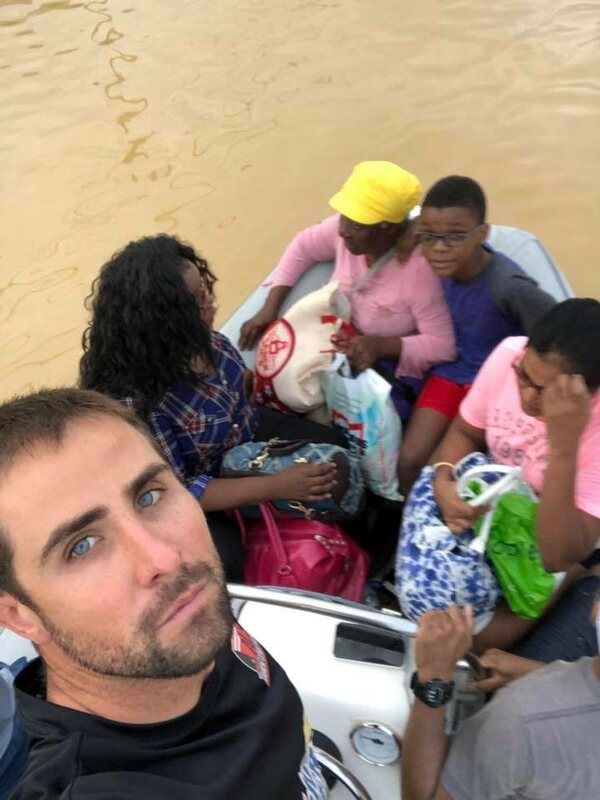 TT Olympian Andrew Lewis put his sailing skills to good use on Saturday, as he braved the weather to help his fellow citizens affected by flood waters. Pictures showed Lewis and others helping children, the elderly and their dogs to safety. People thanked Lewis and his team for their effort on Facebook by posting positive messages. Reply to "Olympic sailor Lewis helps flood victims"